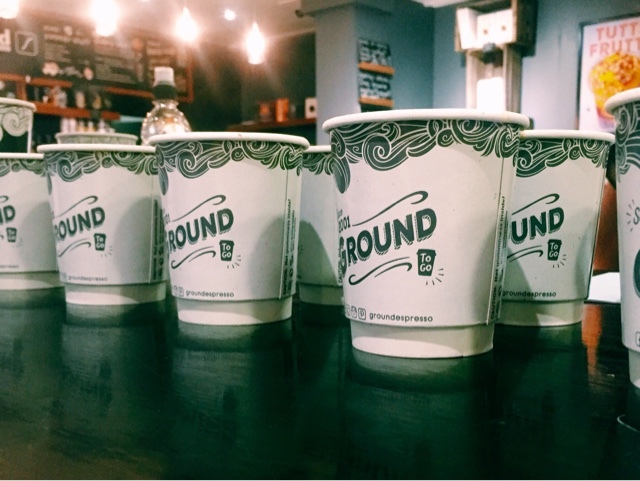 If you were to ask me for a recommendation where to go for coffee, good coffee, then I would say Ground Espresso. 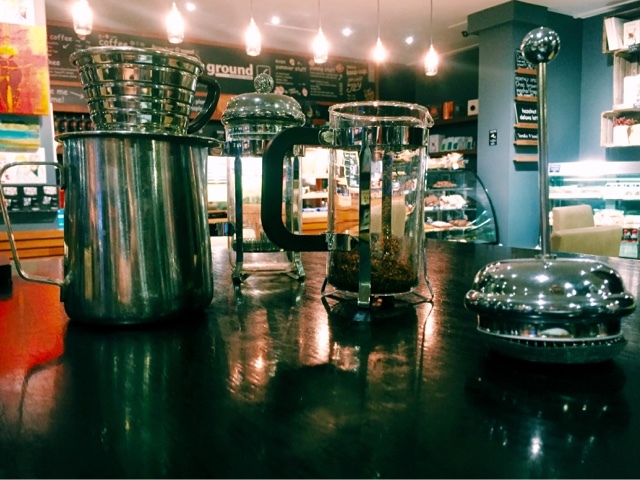 I reviewed their Sprucefield store earlier this year and last year I went with Sarah to their Waterstones branch for a coffee lesson. 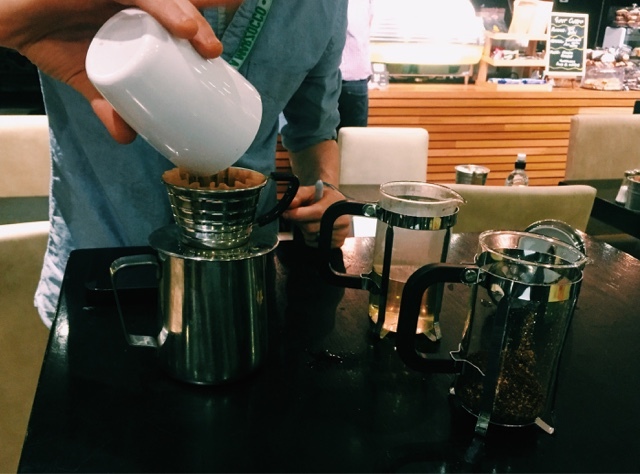 It was my first step to properly enjoying coffee without needing to fill it full of chocolate, caramel, and sugar. I'm a bit of a heathen in that sense. 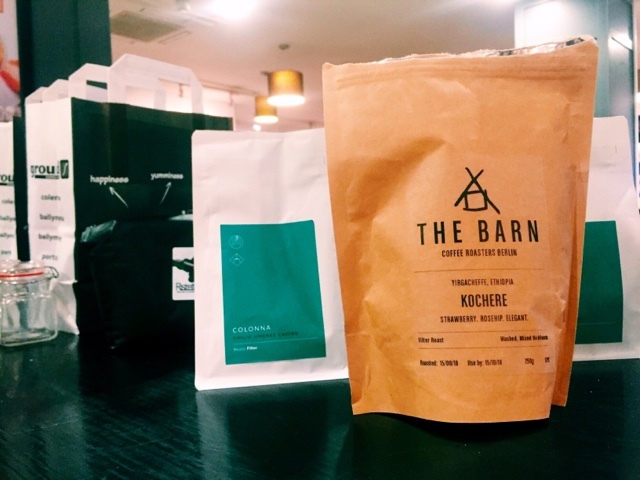 Recently we were offered the chance to try out their next level of coffee education. 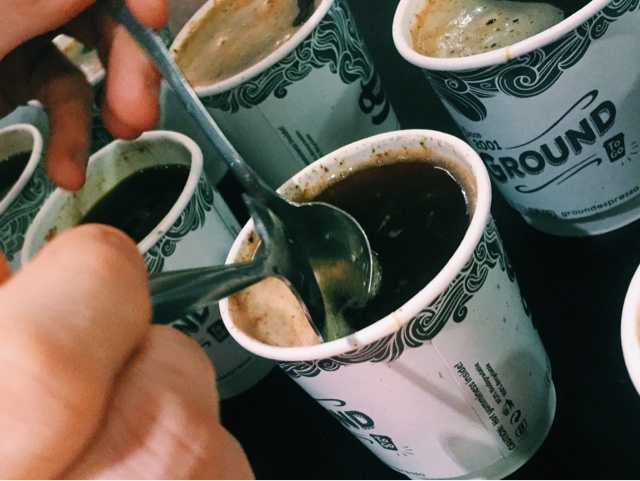 We learned what cupping is, how to break the crust (something I'd never heard of in my life! 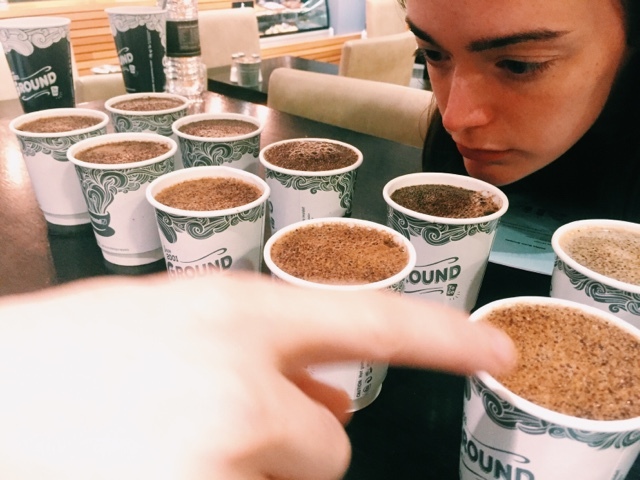 ); we learned how to tell the different methods of roasting, different methods of brewing the coffee, and the many variations in how each process affects the final taste. 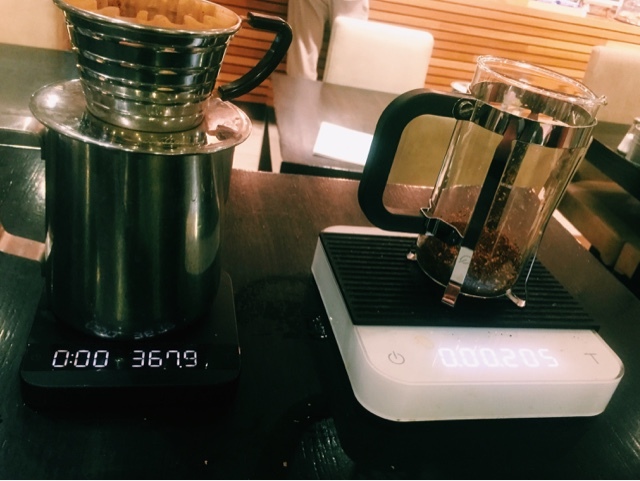 We eventually narrowed down our preferences so that in the future we know what to look for when choosing types of coffee to make sure we really enjoy it. Kris, the Waterstones manager, is brimming with enthusiasm for these tiny little beans and it's definitely infectious. He's a great tutor and I recommend grabbing him for a chat if you find yourself nearby. 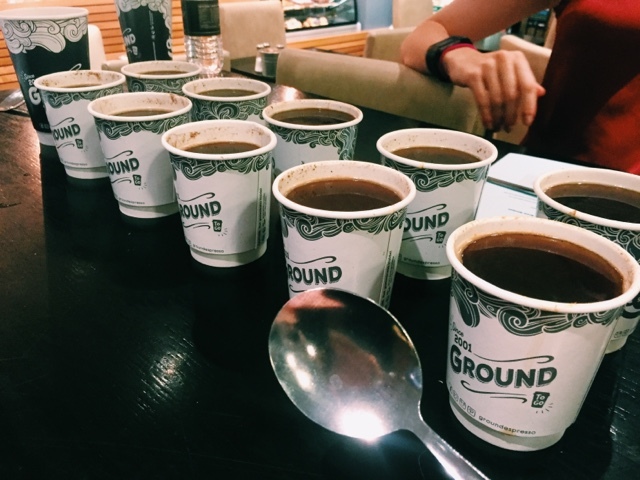 Whether you're a coffee heathen like myself, a caffeine addict like Sarah, or just a keen enthusiast the folks at Ground will take care of your needs for sure. No pretention. Just really good coffee. 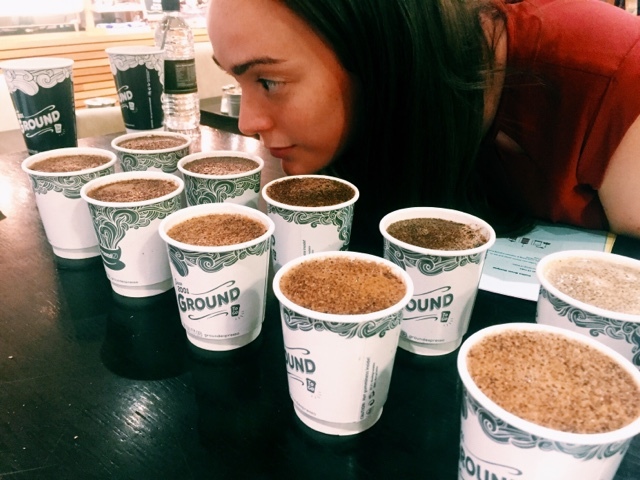 Our Sarah likes to watch her coffee intensely.